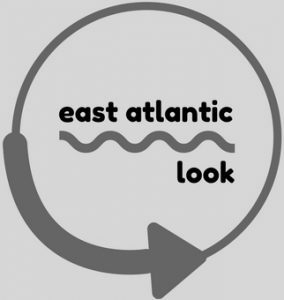 With a cold Hot Stove beginning to simmer, East Atlantic Look thought as though now would be as good a time as any to post the first of another new series; ‘An Open Letter to…’. In this series, we’re going to deliver exactly what it says on the tin – a letter, direct to someone or something, available for all to see. So with the Hot Stove bubbling, we thought we would keep our first open letter relevant to the Major Leagues; in a free agent market dotted, but far from jam-packed, with starting pitchers, we thought we would reach out to one man we think could do a job for most, if not all, of the 30 teams in the MLB. I hope this finds you well, and on behalf of baseball fans everywhere I hope you are healthy and well-rested. Since you last took to the mound in 2016, a lot has happened in baseball; the team you helped to two World Series titles, San Francisco Giants, finished 2017 with the joint worst record in baseball (though it was an odd year, so maybe we can let them off), Mike Trout let someone else in the league win an award, we saw one of the best Fall Series’ in history with records broken left, right and centre and the whole of baseball is at a standstill waiting for the ‘next Babe Ruth’ to pick a club and the reigning National League MVP to be less picky with his no-trade clause. With the actual baseball under the microscope as a result of Home-run records being shattered – a rookie hit 50 homers this year, that’s just silly – good starting pitchers are a much sought-after commodity from the 2017 Free Agent class. How many CY Young Award winners are on the FA market, though? Answer? One, Jake Arrieta. Arrieta is being projected to earn $100MM/4 years by MLBTradeRumours at 31. Also 31, though not a CY Young winner nor World Series winner (he lasted a total of 3.1 innings in the Fall Classic with an ERA of 21.60), Yu Darvish is projected to earn $160MM/6 years. For what it is worth, Bartolo Colon has announced his plans to pitch again in 2018; he will be 45 in May. Whilst career stats are affected by the 2016 year with Los Angeles Angels, you would rank top 5 in fast ball velocity amongst the starting pitchers FA class of ’17, with a career mean of 92.3mph (all stats taken from FanGraphs). A career strikeout rate of 9.29 K/9 would be good enough to rank top 3 and a career ground-ball rate of 46.4% is better than the league average of 44%. If there was any doubt that a tough year in Anaheim meant you had lost it, I would argue adamantly that you have not. The retort to praise is often ‘but where would I play?’ – anywhere you like; of the 30 teams in the big leagues, 26 returned the questionnaire to the representatives of Shohei Ohtani about why they would like him in their clubhouse – whilst Ohtani is a two-way player, he is reported to be a better pitcher than hitter, and thus there are at least 26 teams interested in acquiring a rotation arm for next year. A career ERA of 3.74, despite an ERA of 9.16 in 2016 to inflate those stats once again suggest that you would be a top of the rotation guy for nearly anyone. I would argue only New York Mets have a ‘complete’ rotation when healthy, New York Yankees could also fall into that bracket depending on how they replace CC Sabathia – either by bringing him back, or signing one of the FA arms. A number of teams have two or three ‘power arms’ already; Washington Nationals arguably the most notable, led by National League Cy Young winner Max Scherzer and handy number 2 Stephen Strasburg. Honourable mentions for the top of the rotations at Boston Red Sox, Toronto Blue Jays, Cleveland Indians, Houston Astros and LA Dodgers. This leaves more than two-thirds of ball clubs who would be looking for a proven power arm which we have established, you have. Even after a year off in 2017, and a below average 2016, there are still only two more decorated active pitchers in MLB when it comes to Cy Young recognition; Clayton Kershaw and Scherzer have three putting you in a tie for third with Corey Cluber. I have no doubts that if you were to return to the big leagues anywhere near your best, you would be a valiant addition to any rotation. Heck, with 5 pitches and heat you would make any bullpen feared. I, and many others I am sure – especially the old faithful in San Francisco, would love a chance to enjoy another ‘Timmy Day’. Another regular Wednesday night brightened up by the mullet locks flowing like a cape as you kick off the mound. August 5th 2016 feels a heck of a long time ago – until there is an official retirement announcement, or word from the Giants that you have joined them in a coaching capacity, there is a feeling that The Freak, aptly labelled ‘The Ghost’ by Daniel Brown here, could come back. The agent has given us hope that there is still an interest to pitch again, why not make the back-pages once more and pick a club? Why not throw a 10 pitch warm-up before tossing a no-hitter? (Twice. Both against San Diego Padres). And so, Mr. Tim Lincecum, please come back to baseball. For one year, or two years, or as many as you’d like for as much as you need; there are 30 teams needing at least 5 starting pitchers and there are 30 teams that would be happy to accommodate you in their rotation at your best. How do either Arizona or Florida in February through March sound? An invite for Big Time Timmy Jim to Spring Training, anyone? On behalf of baseball fans, Tim, I hope to see you back soon. The big leagues want their ace back. Lincecum should not come back. Look, as a Giant fan, I love him and always will. That’s the problem though; no one wants to see their favorite player struggle. He’s already tried to come back with the Angels and he failed. Unless he regains some velocity or goes back to his slider he should rest on his laurels and be done. He has nothing to prove and there’s very little upside. He can retain his mystique and always be remembered as the little guy who dominated for several years. Leave him be and his legend will stay intact. Oh boy! For a fan, who is maybe just a little more than a fan, Tim and I go way back. I attended his first start at Single A, his first start in affiliated ball, in San Jose with Dan Brown. (“Wow! Was that a curve?? A changeup??? It sure fell off the table!”) That must have been 2006. Then the next season, having skipped AA, Tim showed up in Fresno at AAA. I’m connected with the team in Fresno and got to meet Timmy on a couple of occasions prior to his pretty quick promotion to the Giants. It amused me that this guy, who was no taller than me and weighed the same could be such a great baseball player and all around athlete. It also lead me to the realization, once and for all, that it wasn’t size that prevented me from bigger and better things on the field — it was a lack of ability! I saw all three of Timmy’s home starts (I think there were three) but the one that lingers was his final one. Sunday afternoon, pretty damed scorching hot (like 90s F) . I got to watch the whole thing from the broadcast booth and considered it one of my all time memorable games. I believe he struck out 14, and turned in a stellar performance, but what really made an impression was the way he treated the fans after the game. It’s Kids Run the Bases day after the game every Sunday so that virtually guarantees 3-400 kids passing by the corner of the home dugout after they’ve finished their run, in addition to whomever else decided to hang around for autographs. It was a MASSIVE number of people. After all the rest of the Grizzlies had long since ducked into the cool cellar of the clubhouse Timmy stood there in the sun signing until EVERYONE was done. I even say him sign one kid’s forehead! Then, he was gone. After that I was just like any other fan, watching Timmy spin magic on the big screen. And what a magic run it was. Then, the downfall, which I’m sure was as painful for me as any other Giants fan. You wanted him to find whatever it was and get back to who he used to be. But alas, that wasn’t to be the case. The story doesn’t end there though. In 2016, late in the season, Tim pitched a couple of starts for the Angels AAA franchise at Salt Lake City. SLC came to Fresno, and there was Timmy,shorn of his flowing locks and looking like the guy I used to know, about to pitch in front of his old admiring fans again. And we had a near full house that Sunday evening. Tim got a standing ovation when he took the mound and it took a long time for people to let the game resume. He pitched some good strong innings, maybe left in the 7th as I recall, having given up 1 run I think. (Sorry, I didn’t keep a scoresheet that day.) Didn’t flash any sort of fastball though. And, at the end of it all, he repeated his autograph gesture for an enormous crowd of admirers, signing until there was no one left to sign for. From a fan’s perspective, it’s hard not to love a guy like that. And the people of Fresno sure do love Tim Lincecum. A good friend of mine had been Tim’s ;pitching coach at Fresno for the Giants, and, as is the way things go in baseball, was the Salt Lake City pitching coach on the day Timmy came back to Fresno. I did something I seldom, seldom ever do, and put the arm on my friend to get me a signed ball. I’m looking at the right now and it is, amongst a few others, a true treasured possession. Whatever he’s doing, I hope he’s happy. He doesn’t NEED to play baseball for the money, he’s got more than enough, but deep inside, I hope he’s disappeared to work on some new twist on his delivery that will restore him to the professional ranks where we can all admire him again. He certainly was a special talent, and hope that he can become one again, but more than that, he was a great person. Man – thanks for the comment, that was a pleasure to read! I’m glad to hear he was a cool guy off the mound, he was a pleasure to watch and definitely someone I loved watching pitch when he was on TV here in the UK. Whether he comes back to the bigs or not, as long as he’s healthy, that’s good for me. Thanks for sharing your story!